Changing a flat on a bike -- nothing could be simpler. It takes, oh, maybe ten minutes. And then again, if you've never done it before, it could take over an hour. 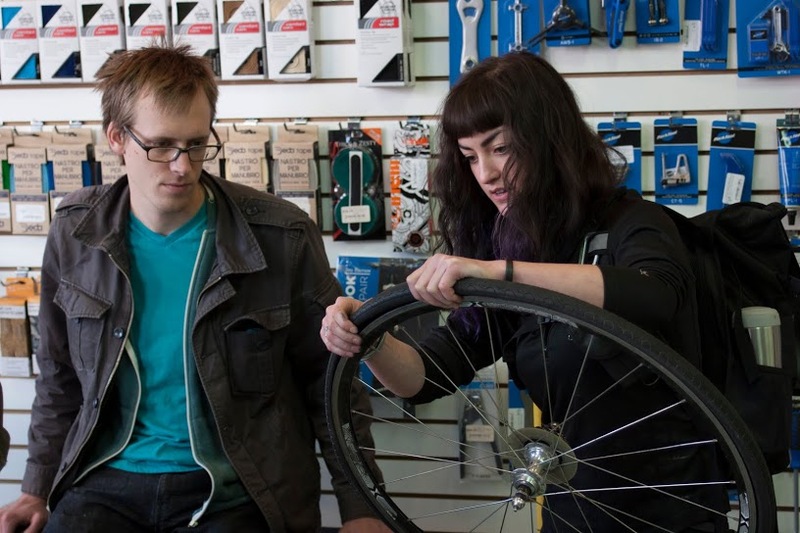 This lesson is brought home to us, seasoned flat-repairers at Cosmic Bikes, whenever we host a flat-fixing workshop at our store. We were again reminded that before you can teach someone how to fix a flat, there is a whole bunch of other stuff they should know first. So instead of one post, we'll do a series.